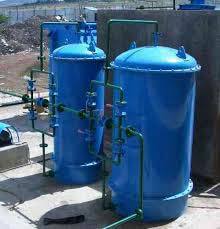 Pressure Sand Filter is widely used for water filtration in various industries. The Pressure Sand Filter that we offer by us is manufactured using quality approved raw material and latest technology in accordance with set industry standards. Provided Pressure Sand Filter is strictly examined by our quality controllers to provide a defect free range at the customers’ end. Our Pressure Sand Filter is known for its rigged construction, easy installation and trouble-free performance.